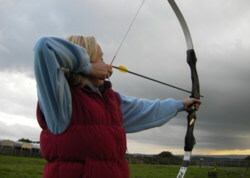 To teach you the skills required to enable you to correctly hold a bow, aim correctly and to shoot an arrow. 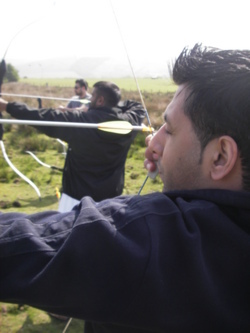 Once mastered you can take part in a friendly completion and a number of archery games. The activity includes all specialist equipment, instruction, and waterproof clothing where required. We have venues throughout the north west of England. Lancashire and the Lake District. Preferably something old but not too loose fitting around the arms, footwear should ideally be boots or shoes with a grip, but trainers with grip will do as a last resort. 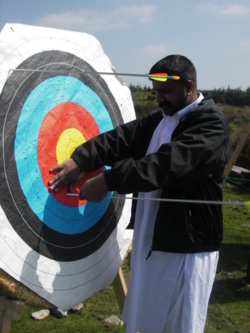 We are available 7 days a week for archery all year round. There are no real restrictions, for individuals with disabilities we will choose a venue to suit your needs and provide extra staffing if required. The weather would need to be really bad to stop our sessions, if it turns bad on the day we would try to have an alternative activity on hand. We are happy to advise you and give answers to any questions on anything you need to know before a booking.